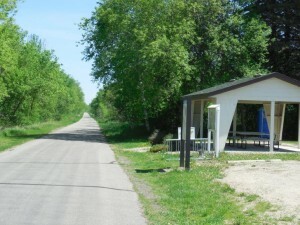 The Department of Natural Resources (DNR) met with the city on April 1 to review the Federal Recreational Trail Program (FRTP) grant application that the city submitted at the end of February. The city successfully passed the initial selection phase for receiving 50% of the total project cost for building a trailhead along the trail near County Roads 82 and 12 in Garfield. A site visit was also conducted. On April 28, the city received a letter from the DNR recommending our project to the Federal Highway Administration (FHWA). In the past, the FHWA has concurred with the DNR’s recommendations, so there is a high degree of certainty the project will receive funding. The city also applied to the Bikes Belong Coalition for the 50% match on May 16 and should hear by early July if the city was approved.